New guidelines for urban mobility projects will help Brazilian cities improve sustainable mobility, reduce carbon emissions and improve quality of life. Photo by Mariana Gil/EMBARQ Brasil. During the last decade, Brazil has witnessed unprecedented federal investment in public and non-motorized transport projects. Multiple rounds of investments from the federal Growth Acceleration Program (Programa de Açeleração de Crescimento [PAC]) and the Urban Mobility Pact have accounted for US$ 29 billion in spending, enabling cities to make a new generation of transport projects a reality. Belo Horizonte and Rio de Janeiro’s bus rapid transit (BRT) systems are two prominent examples. These sustainable transport systems are benefiting millions of Brazilians every day. Many other municipalities aim to achieve the same success, though they face challenges in developing their projects. 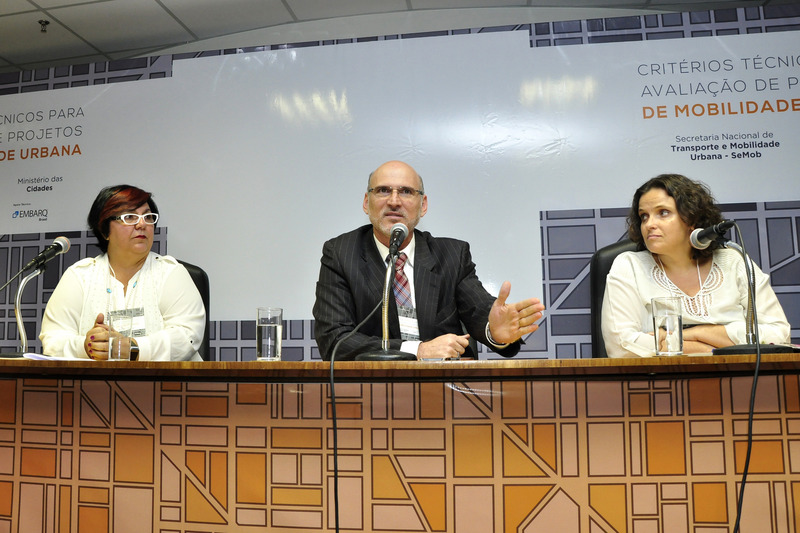 To better evaluate urban mobility project proposals, the Brazilian Ministry of Cities – with the technical support of EMBARQ Brasil – launched the “Technical Criteria to Evaluate Urban Mobility Projects” publication on September 29, 2014 in Brasília. This publication will provide guidelines for the federal bank CAIXA and the Ministry of Cities to assess potential projects, and will help cities craft projects that prioritize public transport, pedestrians, and cyclists to create more inclusive and sustainable cities. "We need a standard in order to select projects for funding. That’s why this publication is crucial to provide knowledge about BRT, BRS (bus rapid system), and other transport systems,” said Raphael Rezende, Secretary of the National Department of Transport and Urban Mobility (SeMob) – part of the Ministry of Cities – during the opening roundtable of the publication launch. 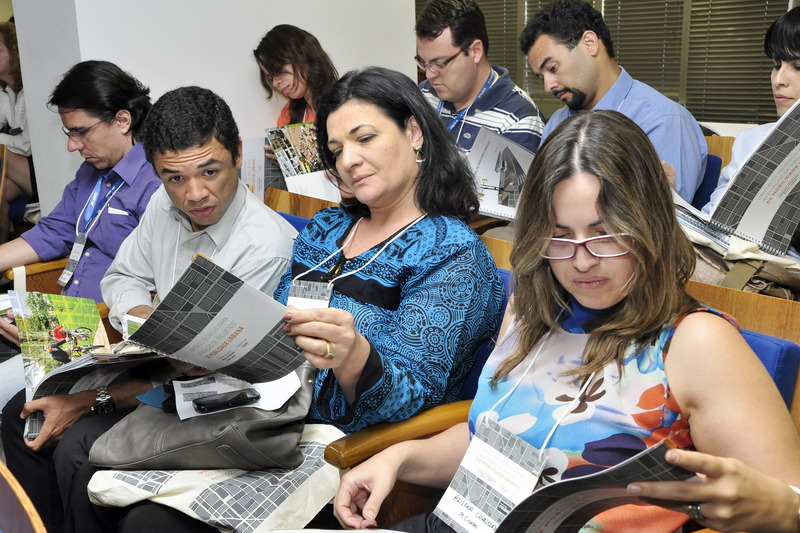 “The document was developed in partnership with the most competent organization in this field, EMBARQ Brasil. With them we can take bigger steps. We must keep in mind that the Ministry’s responsibility is to propose public transit policy priorities which must then be other levels of government and society,” added Rezende. The opening round table also included Luiza Gomide, SeMob Director, and Rejane Fernandes, EMBARQ Brasil’s Director of Strategic Relations and Development. The publication was a collaborative effort from both organizations. "The recognition goes to the Ministry’s staff, who were fully dedicated to this project. We have the potential to transform urban mobility in our cities. It’s a pleasure to be part of this change,” said Fernandes. She also thanked Branca Americano, Director of the Latin America Regional Climate Initiative (LARCI), which supports the initiative. “The existence of resources does not guarantee the quality of projects. We are extremely pleased with the criteria, because EMBARQ Brasil partnered with decision makers to think about the user’s benefit. We believe this guide will be a key part of the evaluation process,” said Americano. Popular sentiment has helped guide Brazil’s focus on improving urban mobility. Protests in June 2013 led the federal government to increase transport investments through the Mobility Pact. Lucia Mendonça, a SeMob Project Manager, described the need to direct cities towards sustainable infrastructure investments. "We began to realize that the projects delivered to the Ministry of Cities were focused on increasing the number of lanes for cars, and that they were not based on the principles of sustainable urban mobility or the welfare of the people. So we sought EMBARQ Brasil," She said. Mendonça also worked with Marcos Daniel, Infrastructure Analyst at SeMob, and Guillermo Petzhold, Transport Engineer at EMBARQ Brasil. EMBARQ Brasil Project Manager Brenda Medeiros described how the teams examined best practices in urban mobility, and spent four months shaping the criteria. One example came from New York City, where former Mayor Michael Bloomberg pedestrianized inner-city areas such as Times Square. This led to a 63% reduction in road accidents, an 11% increase in the number of pedestrians, and a 13% increase in bus speeds in the pedestrianized areas, at the cost of only US$ 1.5 million. This graphic shows the length of metro, light rail, and bus rapid transit systems that can be built with US$ 29 billion, assuming cost per kilometer of US$ 104.1 million, US$ 16.6 million, and US$ 6.2 million, respectively. Graphic by EMBARQ Brasil. The team looked at domestic and international case studies to help shape the guidelines for project criteria. For example, Petzhold highlighted successful BRT projects like TransOeste in Rio and MOVE in Belo Horizonte, both of which have already reduced travel times by 50%. The Octopus card in Honk Kong, meanwhile, serves as an example of best practices for technology use in transport. In addition to serving as a transport ticketing card, it can be used at grocery stores and for other services. The card also offers a benefit program with discounts and exchanges for other products. The new criteria has been piloted and evaluated in the cities of Joinville and Florianópolis in the state of Santa Catarina, which was essential in order to refine the guidelines. During the initial phase of implementation, the Ministry of Cities is expected to use the publication for 63 PAC Medium Cities projects from 56 cities, accounting for US$ 3.3 billion. Of these projects, 89% are bus-based. EMBARQ Brasil expects that the guidelines have the potential to help these projects reduce carbon emissions by at least 124,000 tons by 2017 when they begin operations, and by over 1.6 million tons by 2030. In addition to reducing emissions, the guidelines will serve as an important tool to improve cities’ projects and create more livable urban environments across Brazil. The opening round table included Rejane Fernandes (left), EMBARQ Brasil’s Director of Strategic Relations and Development, Raphael Rezende (center), Secretary of the National Department of Transport and Urban Mobility (SeMob), and Luiza Gomide (right), SeMob Director. Photo by Mariana Gil/EMBARQ Brasil. The "Technical Criteria to Evaluate Urban Mobility Projects” publication will provide guidelines for the federal bank CAIXA and the Ministry of Cities to assess potential projects, and will help cities craft projects that prioritize public transport, pedestrians, and cyclists. Photo by Mariana Gil/EMBARQ Brasil.